The Affordable Care Act's new rules for determining Medicaid eligibility has officials at the Health and Human Services Commission worried about an increased burden in processing applications. With key components of the Affordable Care Act set to take effect in January, state officials are worried that a change in the determination of Medicaid eligibility could increase costs and decrease efficiency in processing applications for Medicaid and other benefits programs. Under the law, family incomes and sizes — used to determine if a family qualifies for Medicaid — will be determined based on tax filings, a different process than what is used for the Supplemental Nutrition Assistance Program and Temporary Assistance for Needy Families, said Stephanie Goodman, a spokeswoman for the Health and Human Services Commission. Because eligibility for Medicaid and the Children’s Health Insurance Program will now be calculated using different metrics than SNAP and TANF will use, HHSC could see an increase in workload, Goodman said, which could result in a delay in the agency’s ability to process applications or notify applicants if they had received benefits. The new Medicaid application process may be simpler, Goodman said. But most families applying for benefits apply to multiple benefit programs, she said — meaning that the state will now have to process them for Medicaid and CHIP and then separately for others. But Anne Dunkelberg, associate director and a health policy analyst at the liberal Center for Public Policy Priorities, said such difficulties are part of the process of implementing major policy reforms. “It is a big deal to make these kinds of system changes, and there are always problems involved,” she said. The new method of calculating income replaces "ancient Medicaid stuff" with a single set of rules, she said, "instead of having 50 different income calculation rules for Medicaid" across the country. 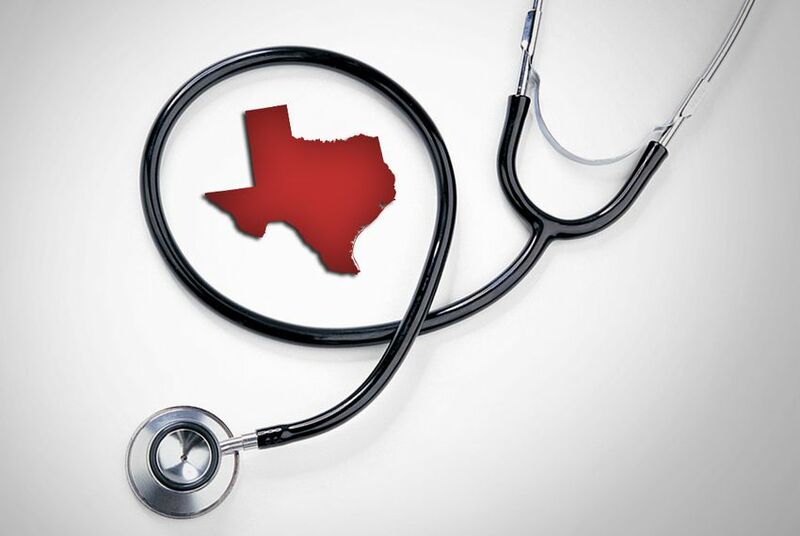 Texas is well-prepared compared with other states in tackling the changes created by the health reform law, said Dunkelberg. “I think it’s a good sign HHSC has some concerns and they’re trying to prepare,” she said. HHSC is encouraging Medicaid applicants to apply for benefits online, which reduces processing time, Goodman said. So far, she said, the agency is receiving nearly half of its Medicaid applications online, an increase from in the past. HHSC has a statutory limit on the number of employees it can hire, but if it does see an increase in workload, the agency would work with state lawmakers to “figure out what our options were,” Goodman said. She added that it is difficult to predict just how much HHSC’s workload will change until the law’s major components go into effect. The federal exchange, through which Texans can purchase insurance, opens Oct. 1, and the individual mandate requiring Americans be insured goes into effect Jan. 1. *Editor's Note: The original version of this story incorrectly stated that state officials were concerned that a ban on asset testing to determine Medicaid eligibility created by the Affordable Care Act would increase costs and decrease efficiency. Rather, the officials' concerns were regarding other changes to determining Medicaid eligibility created by the federal law.